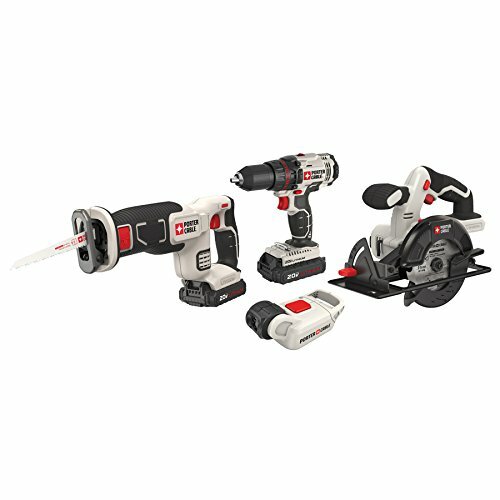 The PORTER-CABLE PCCCK616L4 20V MAX 4-Tool Combo Kit offers the perfect combination of a 1/2" 2-speed drill/driver, a 5-1/2" Circular Saw, a Compact Reciprocating Saw, and a LED work light. It also includes (2) PCC681L 20V MAX 1.3Ah Lithium Ion Batteries to keep you ready and working with little or no down-time. The 2-speed drill/driver gives you the power needed to complete applications with ease (283 Unit Watts Out, 0-350/0-1500). Its lightweight and compact design reduces .users fatigue (8.25" long and 3.5 lbs. ), and features ergonomic handle design, LED light and bit storage. 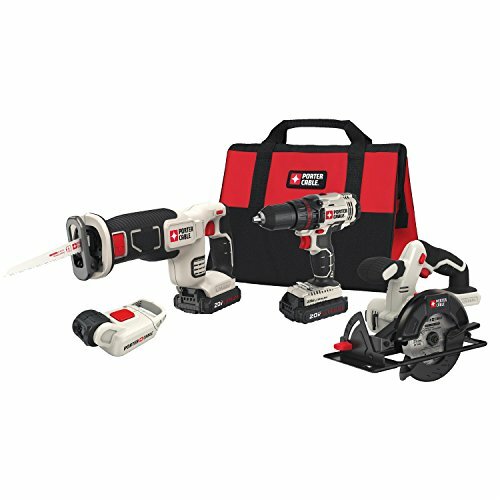 The 5 1/2" circular saw delivers 3700 RPM for a variety of cutting applications, and includes a 5 1/2" 18T carbide blade. This saw features tool free depth adjustment and bevels at 45 and 90 degrees for specialty cuts. The compact reciprocating saw features 0-3000 SPM, 7/8" stroke length, tool free blade change and pivoting shoe. 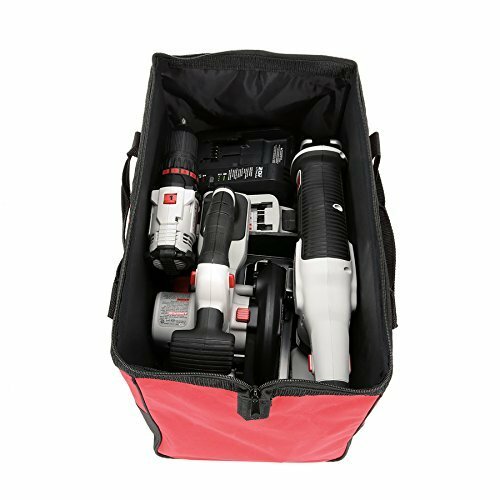 And finally, this kit includes a LED work light which helps to brighten your work area. 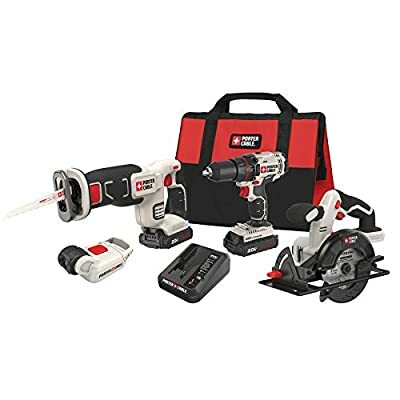 Included: Drill/Driver, Circular Saw, Reciprocating Saw, LED light, (2) PCC681L Lithium Ion Batteries, (1) PCC699L 20V MAX Lithium Ion Charger, Kit Bag, 5 1/2" 18T Circular Saw Blade, 6" Wood cutting reciprocating saw blade.